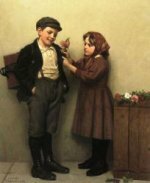 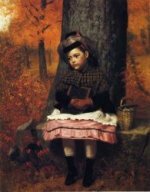 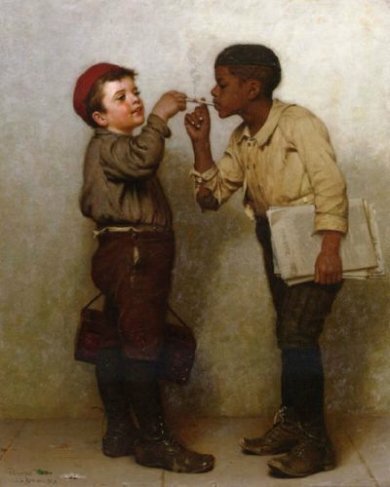 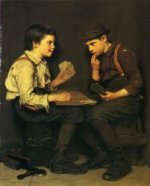 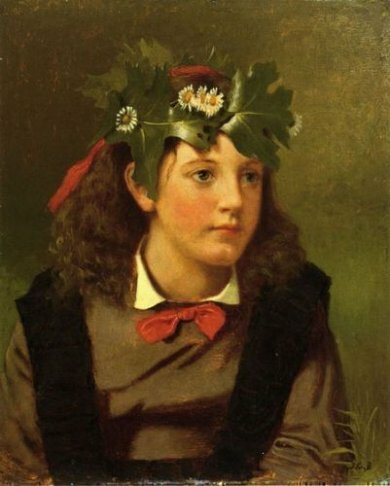 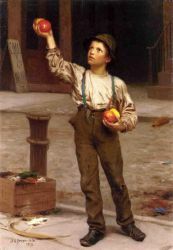 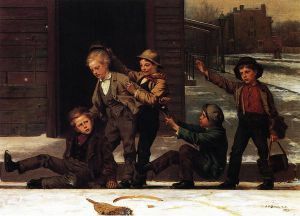 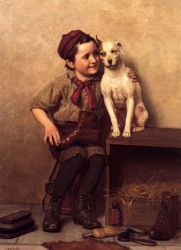 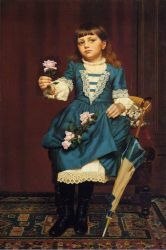 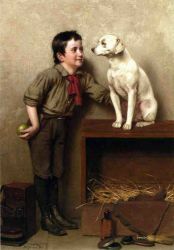 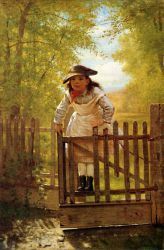 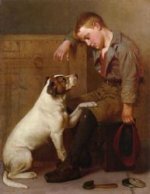 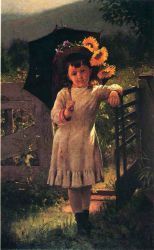 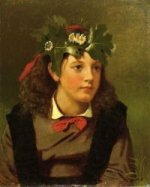 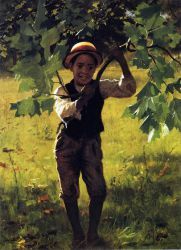 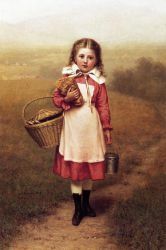 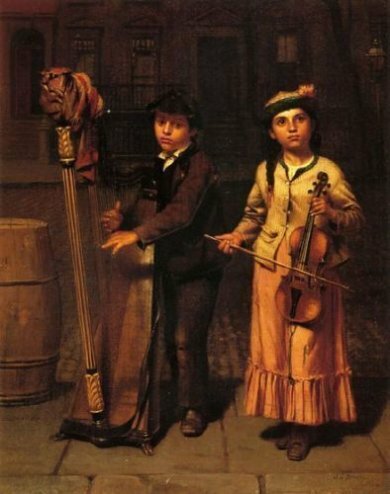 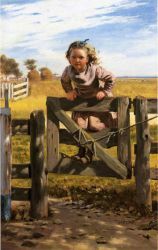 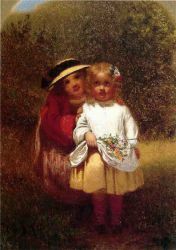 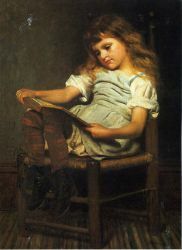 John George Brown (November 11, 1831 – February 8, 1913), British and American painter, was born in Durham, England, on 11 November 1831. 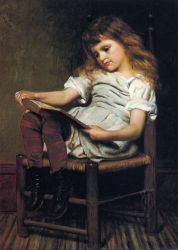 He studied at Newcastle-on-Tyne, in the Edinburgh Academy, and after moving to New York City in 1853, he studied with Thomas Seir Cummings at the schools of the National Academy of Design, of which he became a member in 1863.New International Encyclopedia He was its vice-president, 1899-1904, and originated the idea of the removal of the Academy to a new site in 110th Street. 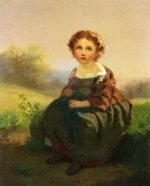 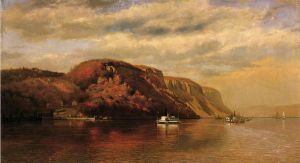 In 1866 he became one of the charter members of the Water-Color Society, of which he was president from 1887 to 1904. 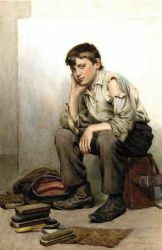 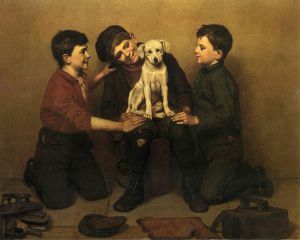 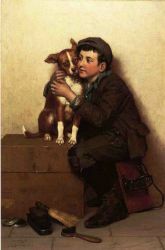 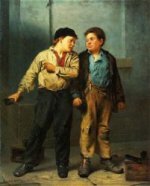 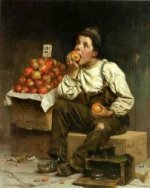 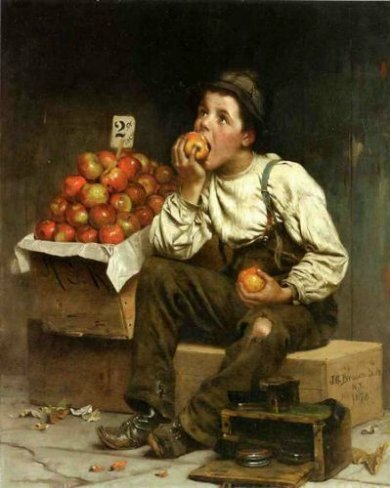 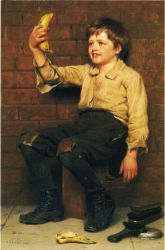 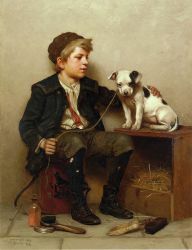 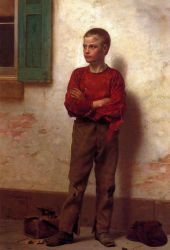 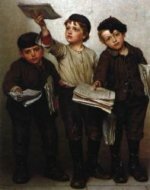 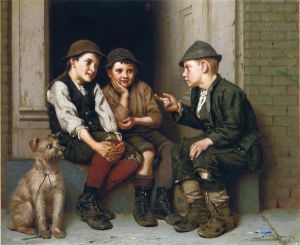 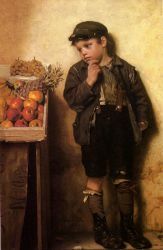 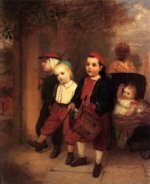 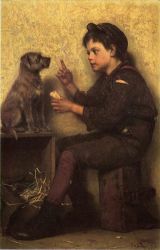 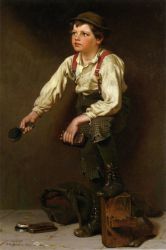 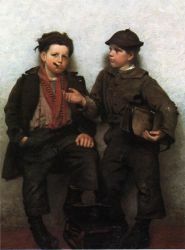 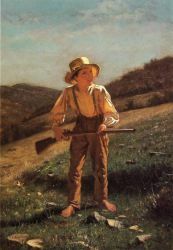 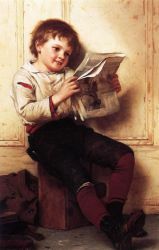 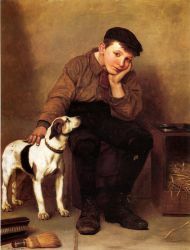 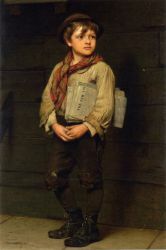 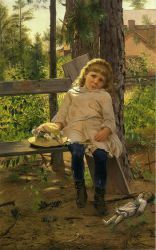 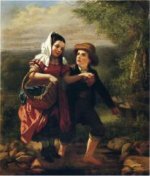 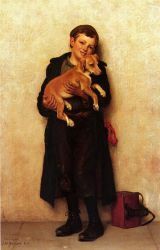 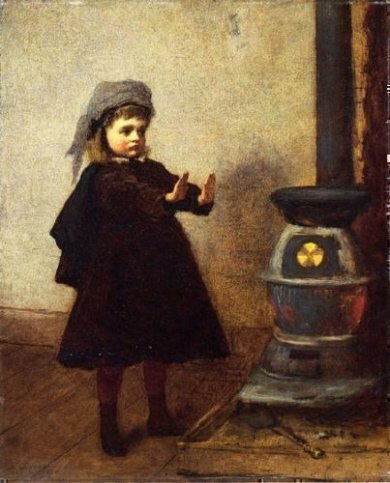 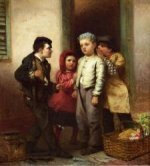 He generally confined himself to representations of street child life, bootblacks, newsboys, etc. 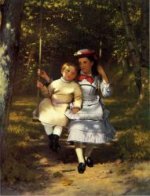 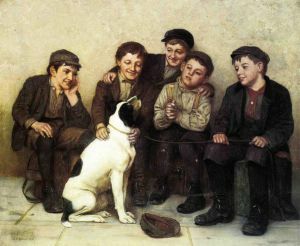 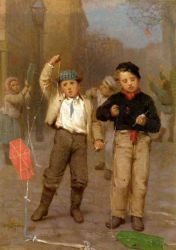 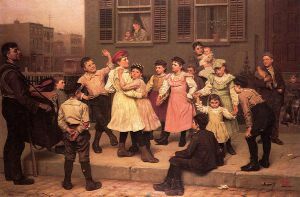 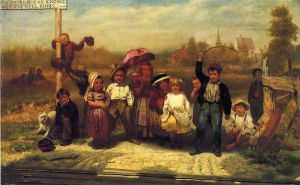 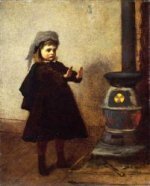 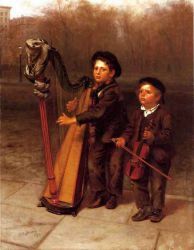 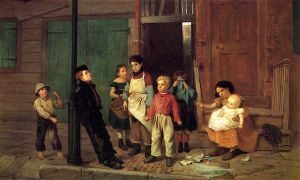 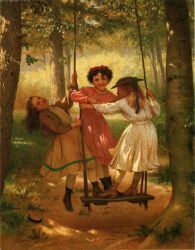 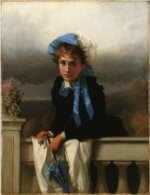 ; his Passing Show (Paris, Salon, 1877) and Street Boys at Play (Paris Exhibition, 1900) are good examples of his popular talent. 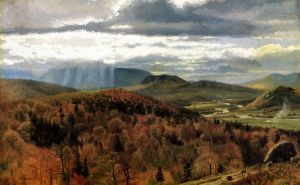 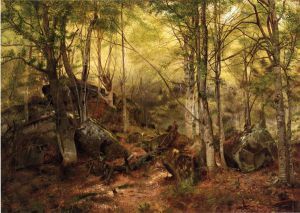 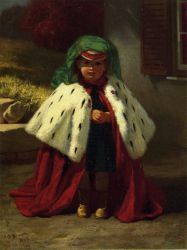 Brown's art is best characterized as British genre paintings adapted to American subjects. 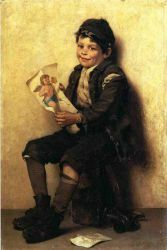 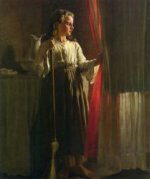 Essentially literary, it is executed with precise detail, but is poor in color, and more popular with the general public than with connoisseurs.